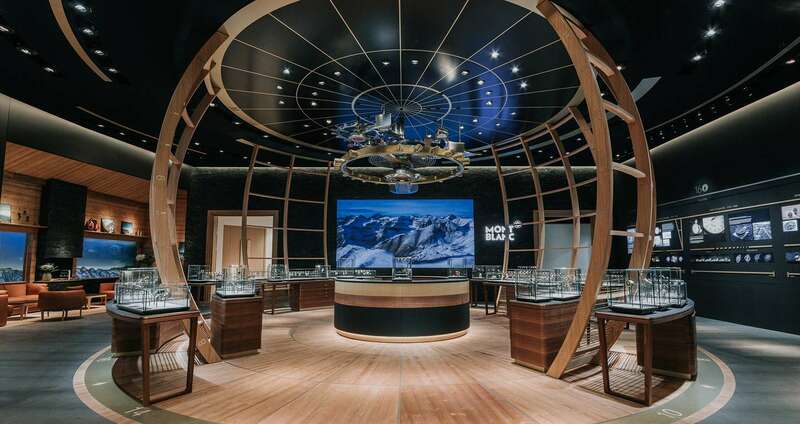 Every year during the SIHH High-End Watchmaking International Fair, Montblanc presents their latest watch collections. 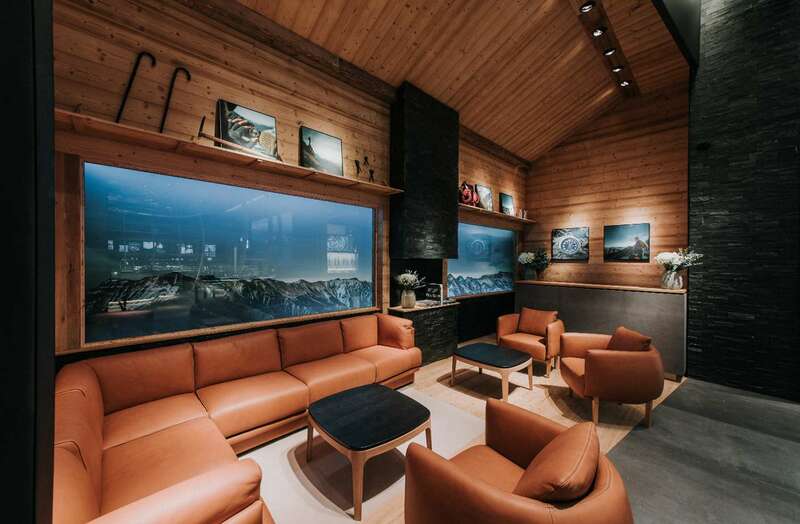 In 2018, studio has created an immersive experience which reveals brand fine watchmaking heritage and mountain exploration that inspired its new 1858 collection. 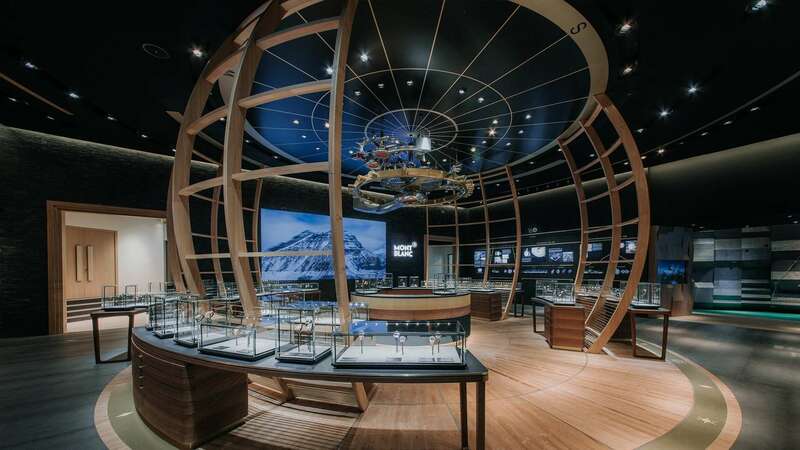 For the 160th anniversary of Minerva Manufacture, scenography invites visitors to discover new heights and push the limits of exploration. The booth perfectly combines historical codes and contemporary reinterpretation to fully express the heritage and know-how of Montblanc. Located in the lobby press room, a library displays innovative calibres which illustrate Montblanc legacy and know-how. 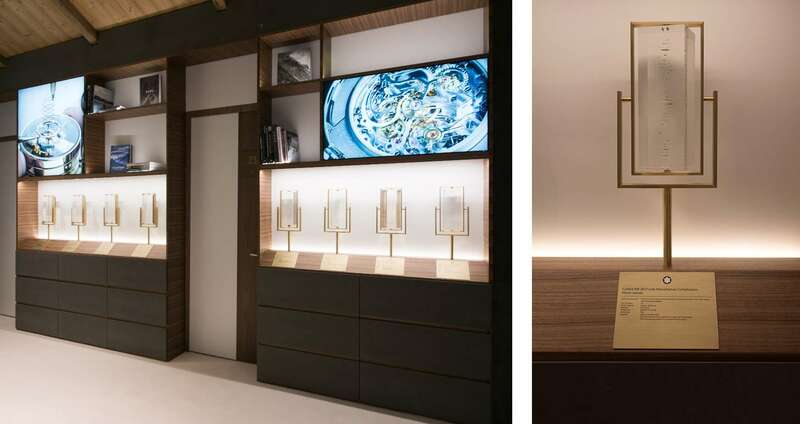 Inspired by the original Minerva chronographs, 1858 vintage codes inspired Montblanc scenography, from leather furniture reminiscent of watch straps, to satin bronze surfaces in reference to the metal used for timepieces. 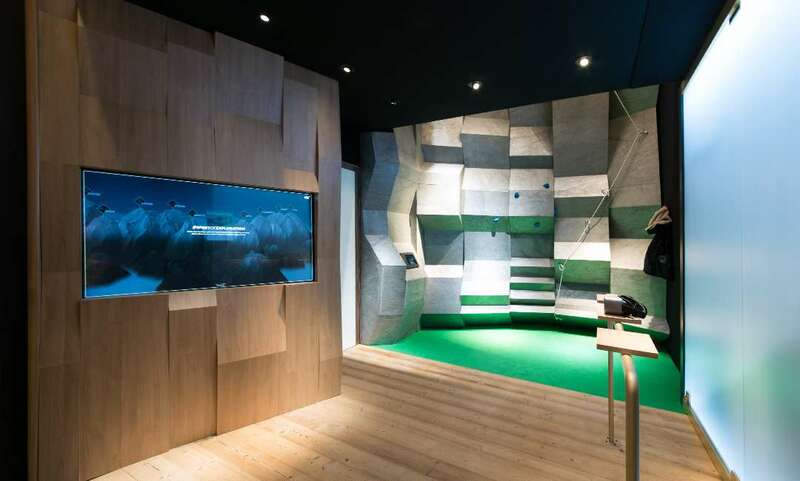 The Social Media area invites visitors to immerse themselves into unique experiences using virtual reality glasses for a panorama, an ascension photo shoot and a social media competition.